Whether you are a beginner embarking on a new journey or a well-seasoned, highly competitive athlete looking to fine tune your training to get to that next level in your athletic career. and ALWAYS race with your Heart. Roberto believes that committing to this ideology, success in triathlon is yours for the taking. Triathlon is more than an endurance sport...it is a lifestyle and an investment in your overall health. The journey can be challenging however the exhilaration of reaching the pinnacle of your endeavors while experiencing fun along the way, is quite an unbeatable experience. 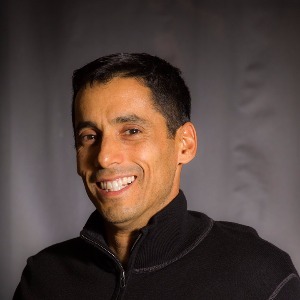 Roberto believes that in order for an athlete to achieve optimal results, the athlete must have the right training plan and coach in order to navigate through the many facets in triathlon training which require equal and uncompromising attention, as well as the necessary tools and tactics to physically challenge the body while strengthening and empowering the mind to train smart and race smart. Success. Coach Roberto Florencia has been notified of your message.